More from Ora: Goin’ Apesh*t w/ the ‘Dawn of the Planet of the Apes’ Trailer! Behind on your holiday shopping? NEVER FEAR, DWEEBCAST IS HERE! 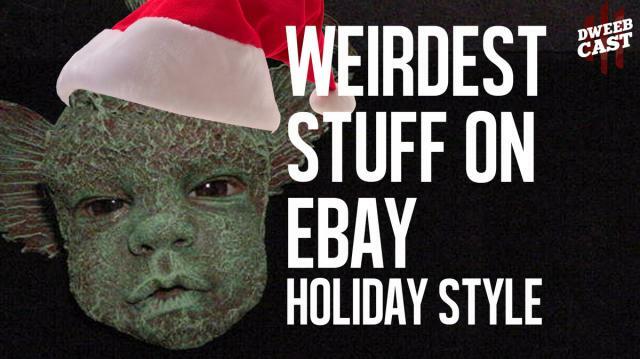 We scoured eBay for the most unique gift ideas we could find. And yes, by “unique,” we really mean, “totally out there and weird.” We got an alien embryo in a jar, a stuffed fish with a baby’s face and earrings made out of poop! POOP! Gal Gadot and the Future of Wonder Woman!